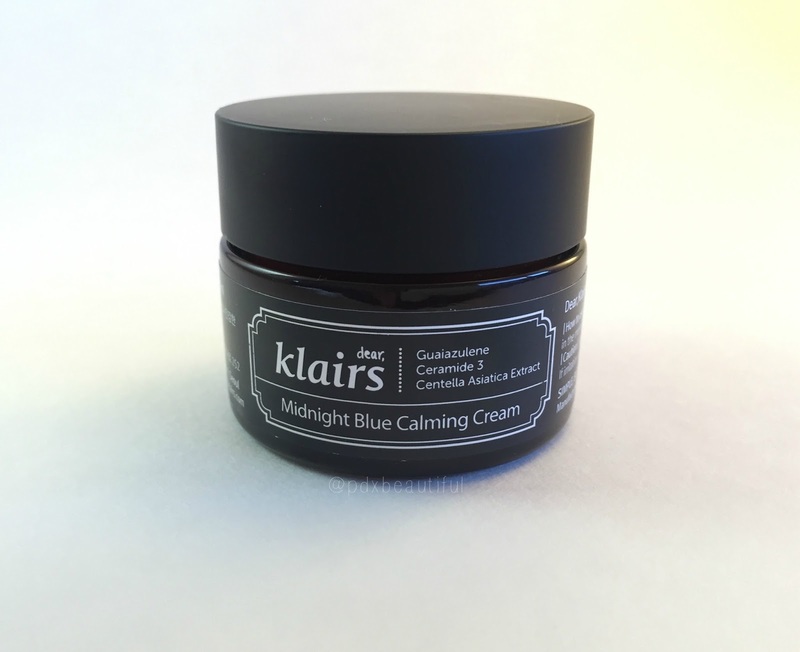 Today I want to share my thoughts about the Klairs Midnight Blue Calming Cream. This post is sharing my thoughts on this cream and how it worked for my skin. To start, I would like to mention that my skin type is normal to combination (typical t-zone but not overly oily), very sensitive and highly acne-prone. My review will reflect how this cream worked for my personal skin type but as always, your results may vary. This cream is said to help calm and strengthen extremely sensitive skin but can be used on all skin types. 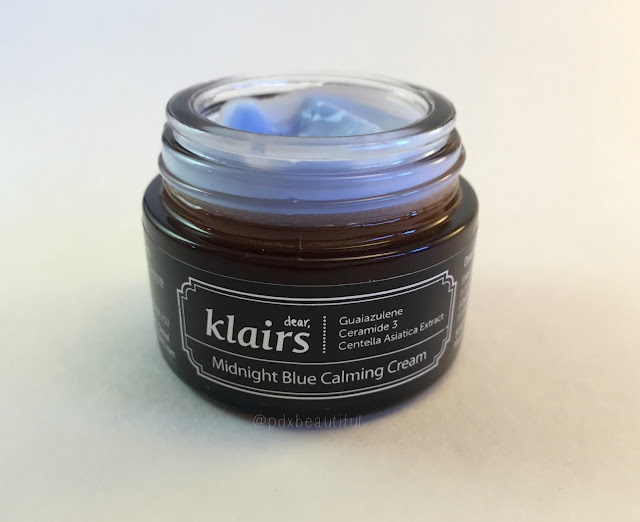 Midnight Blue Calming Cream is a comforting moisture cream that helps to provide skin with intense and soothing hydration. It is formulated with guaiazulene, an herbal extract derived from chamomile and is effective in calming inflammation. This ingredient also helps with healing damaged skin tissue and helps to regenerate skin. This ingredient is what makes this product a beautiful shade of blue. This also contain centella asiatica extract, a plant naive to Madagascar. Centella also helps to regenerate damaged skin but this ingredient also helps with scarring. Centella is a natural component that helps to control sebum (oil) production, balance skin and help build water retention. It helps to reduce redness, irritation and also promotes healing. This also contains peptides and ceramides which promote water retention, repair skin's natural barrier and help with cell regeneration, plus boosts the skin to function more effectively. 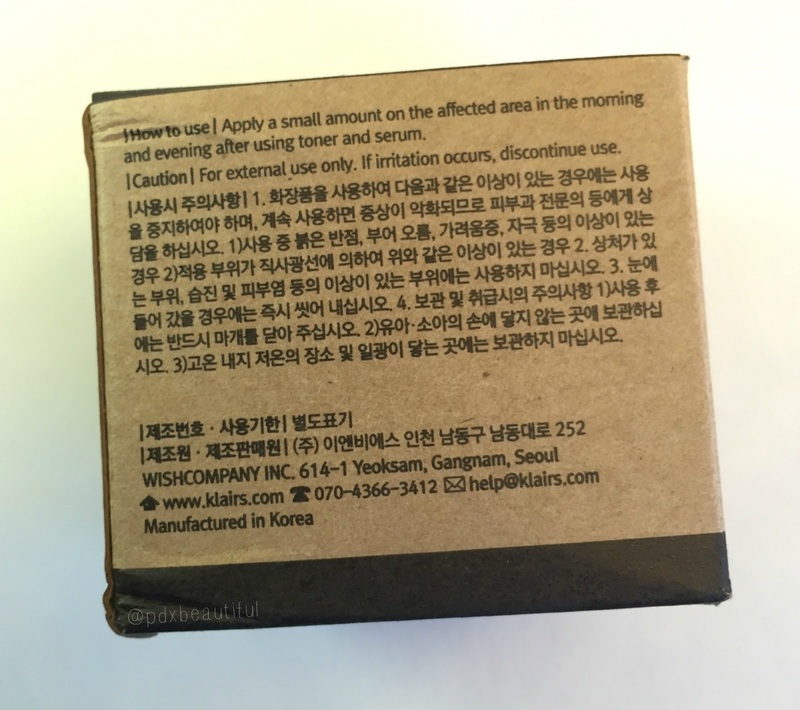 This also contains hyaluronic acid and fermented soybean. Before I try any new skin care product, I always patch test and I recommend patch testing to everyone! This is something that works for me in helping to introduce new skin care products to my easily irritated skin. 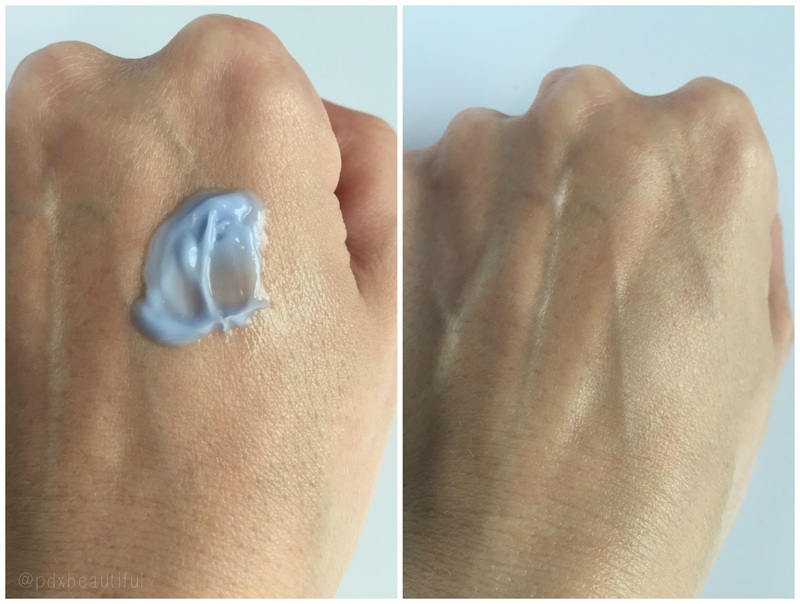 This patch testing can look different for everyone but for me, I test the cream by applying it to more sensitive areas of my face, neck and arm. I usually patch test twice within a 24 hour period using this spot method. If no reaction occurs, I move forward and begin to apply the product to half of my face. I will also do this twice within another 24 hour period. If all goes well, I begin to use the product on my entire face and neck. As you can see from the picture above, this is a creamy, slightly dense blue cream. It does take some effort to spread evenly and is a bit tacky. The texture is nothing I have ever felt before...it's not a cream or a gel, it's so usual. I dab dots of cream all over and massage gentle to smooth out. I then warm my hands and press it into the skin. I think this application method works will with the texture of this cream. 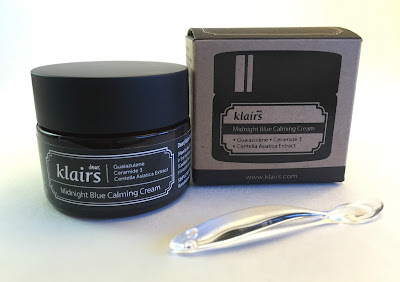 This cream does do a good job at calming and soothing my skin after application. This cream keeps my skin feeling comfortable, not tight but not oily. I have noticed it does an excellent job at balancing my skin and works well under makeup. I also find it works well with my other skin care products and layers nicely. 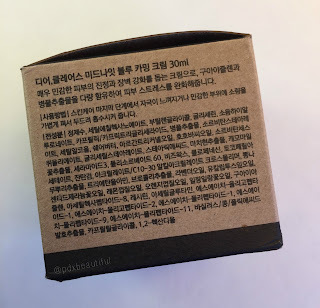 I do see this cream as being beneficial for other skin types as well because of the strengthening aspect it proves for the skin and because it helps to balance and protect the skin's moisture barrier. Cell regeneration is so important for all skin types as well so even if you don't have extremely sensitive skin, this cream is still can give great ingredients that are clinically shown to benefit the skin. Again, always remember that your results may vary. I love the calming effect it gives and how it reduces redness. On its own, this cream does not give my skin enough hydration but it works great when I layer my other skin care products under and on top. For those with oilier skin is might be just enough moisture for you, those with dry skin might need to layer as well. I am excited to see how this perfroms once the summer approaches and the weather warms up here in rainy Portland. 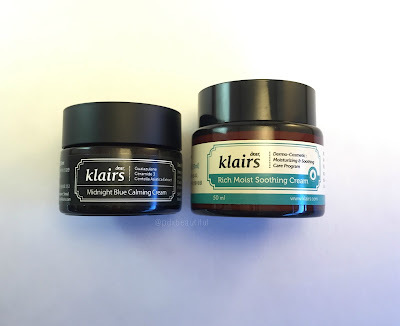 I personally love this cream over the Moist Soothing Cream as I feel it works better at calming and soothing my skin and it doesn't feel as heavy. 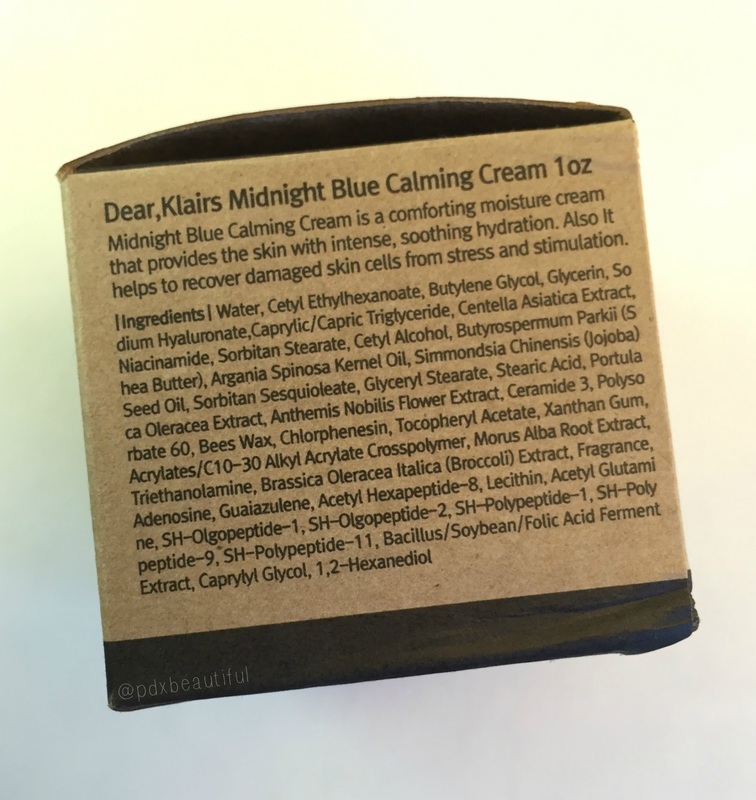 I find that it calms my skin and decreases redness better than the Moist cream too. I will most likely do a comparison between the two creams in an upcoming blog post. Lastly, the scent...normally I am not a fan of fragranced products, especially skin care. However, this cream's scent is derived from natural extracts which offer additional benefits for the skin. I personally love lavender and this has a light lavender and slightly citrus scent. 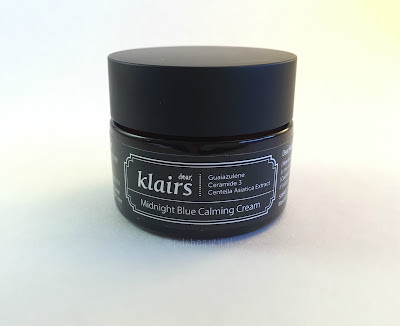 Thank you so much for reading my review on the Klairs Midnight Blue Calming Cream! 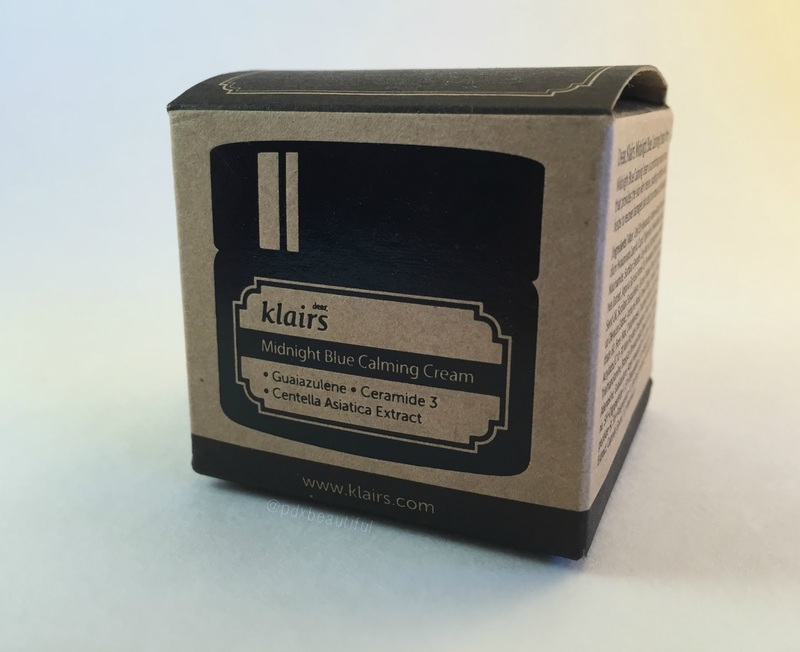 I would love to hear your thoughts on this cream so if you have tried it, please leave me a comment or link down below in the comments section.